Transport for London will lose out on billions of pounds of funding after the government announced it will cut its subsidy in the Spending Review. The Department for Transport will phase out TfL's resource grant which makes up around six per cent of its annual budget, amounting to £2.8bn by 2019. 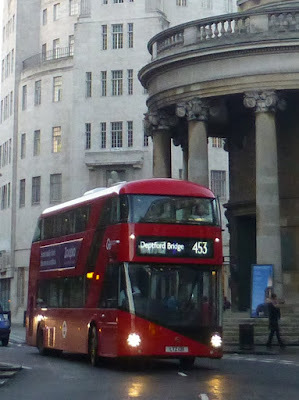 Transport for London (TfL) had been told in 2013 it would eventually have to be self-sufficient with its operating costs. There will be no more general grants from the government for day-to-day running of services from 2018 - earlier than TfL thought. That grant currently stands at £591m a year but it will be tapered down. The Treasury gave an early indication of its plans in the summer when it sliced £31m off TfL’s funding for the current year. How it deals with it isn't clear yet, but TfL will undoubtedly have to be more commercial. It is currently planning to raise £3.4bn by 2020/21 through property, advertising and similar routes. And it will have to be more efficient; it is currently planning to cut £16bn by 2020/21. That could affect the number of staff. There will also probably have to be some choices on infrastructure investment in terms of priorities. What it means is by 2018 London will be the only city in Europe where there is no day-to-day transport subsidy. That bad news is tempered with some good news for transport bosses. Previously a £10bn investment had been announced in the run-up to the election until 2019/20. So investment in the big ticket infrastructure items such as the Tube upgrades look like they're OK. But the purse strings just got a little bit tighter at TfL. Some will say this shows TfL is more than capable of looking after itself and this is a vote of confidence. Others will say it leaves a big hole in TfL's finances that it will now have a big challenge trying to fill. London business leaders are concerned that the capital’s overcrowded transport system will not receive the investment it needs to cope with a growing population. 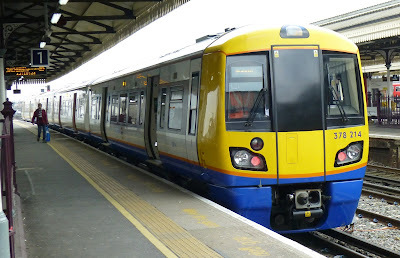 Projects such as buying more trains for the Northern and Jubilee lines, expanding stations that have to close regularly because of overcrowding and modernising the Piccadilly line are dependent on a funding deal currently being negotiated between the TfL and the government. Whatever way you dress it up, it is still a big cut to transport funding in London and will almost certainly lead to increased prices for passengers. Welcome to the real world TfL!